Microsoft's Worldwide Partner Conference happened over in Canada this week, and one snippet of news to emerge was that Office 365 is muscling out Google Apps for Work. This observation comes from Deutsche Bank, which shared thoughts on the buzz heard at the conference, as reported by Bidness Etc. Deutsche Bank noted that the vast majority of sessions at WPC involved pushing cloud products including Office 365, not too surprising given Microsoft's refocusing on cloud and mobile. Karl Keirstead, Software Equity Research Analyst at Deutsche Bank, said there was "sustained demand" for Office 365, and that while Microsoft still drove hard with a campaign to encourage further adoption of the online productivity suite, not one of its partners highlighted this issue. Keirstead drew the conclusion that this was because adoption of O365 has already ramped up – and many of Microsoft's partners he spoke to said that Google Apps market share is eroding thanks to Office 365. We should note at this point that there are no numbers to back this assertion up, and it's essentially the general sentiment from WPC. But nonetheless, it's a worrying indicator for Google and its fight on the online productivity battleground. 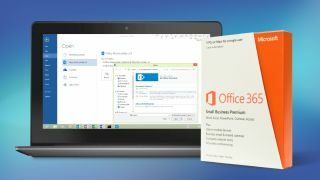 These cloud-based online suites are, naturally enough, constantly updated, and one of the latest strings to be added to Office 365's bow is the Microsoft Planner. This is a project management app with a streamlined interface that facilitates easy collaboration and allows for the sharing of files that pertain to any given task. Find out more about it here.